Mobile industry association, the GSMA, has unveiled a specification for embedded SIMs that already has the support of several major stakeholders and which the GSMA is hoping will boost the M2M market by at least 34% in the next five years. The key feature of the specification is to enable OTA (over-the-air) switching of communication service provider on an embedded SIM or chip. This reduces the risks associated with having to commit to a given CSP too early in an smart device product cycle and enables switching of CSPs even when the products containing the embedded connectivity are in the field. A bunch of industry stakeholders have publicly come out in favour of the specification, including AT&T, Telefónica, Vodafone, Gemalto, and Giesecke & Devrient. The GSMA commissioned some research from Beecham Group that forecast this move would boost the M2M market by 34% over the next five years, although that could turn out to be somewhat conservative, given its current size and future potential. The industry most likely to immediately benefit from this move is automotive, which has product development cycles of several years and is thus reluctant to commit to embedded technologies too early in that cycle. “It probably starts with the auto-makers, but then will move into utilities quite quickly and other areas after that,” said Waite. Embedded systems are by definition inaccessible, so any specification or standard that enables those systems to be updated remotely is most likely to increase their uptake. 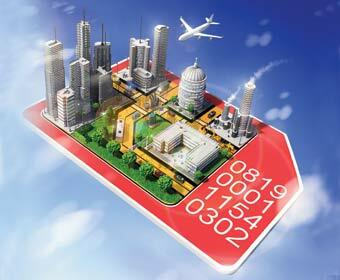 This seems like a good example of just that, so hopefully it will give the M2M market a boost.